Most people associate being tongue-tied with stumbling over their words. But you may be surprised to learn that “tongue-tie” is actually a legitimate oral health problem called ankyloglossia that affects the tongue’s range of motion. It’s present in 4%-11% of newborn babies, more often boys than girls, and can impact a child in significant ways. 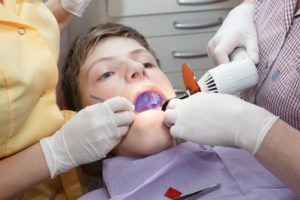 However, a pediatric dentist in Tappan looks at every aspect of a child’s oral health at each checkup so they can identify issues like tongue-tie early on and recommend treatment as needed. And, fortunately, tongue-tie can be treated quite easily! Keep reading to learn more below. Dentist For Infants In Bergenfield Gives 4 Ways To Keep Your Baby’s Mouth Healthy! As a parent, you’re already well aware that children don’t come with instructions, although it would certainly make some things easier if they did! It’s normal to have questions about oral hygiene for an infant, but you’ll be glad to know it’s easier than you might think. And, since good dental health starts in the very beginning, it’s well worth it to learn a few tips and tricks for cleaning your baby’s mouth. This, combined with scheduling their first checkup at age one with a dentist for infants in Bergenfield, is a great way to make sure they have good oral health from the very start. Keep reading below for 4 ways to help your baby’s smile stay healthy! 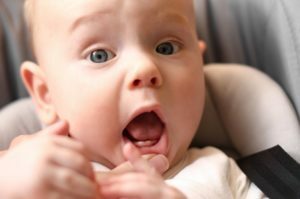 Comments Off on Dentist For Infants In Bergenfield Gives 4 Ways To Keep Your Baby’s Mouth Healthy! 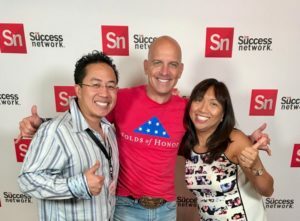 Darren Tong is joining with DNA Films®, an Emmy® Award-winning film production studio, to serve as an Executive Producer on the new Folds Of Honor documentary. As an Executive Producer, Darren Tong will attend the principal filming of the documentary, and be apart of this life changing experience while learning the incredible story behind the organization. The Folds Of Honor documentary will begin principal photography on location in February of 2019. For over 27 years, Dr. Tong has been one of the most trusted pediatric dentist in the Bergen and Rockland County. Dr. Tong has also co-authored a bestselling book, “Dare to Succeed” alongside Jack Canfield. He has appeared on “America’s Premiere Experts” on dentistry aired on TV stations NBC, CBS and their affiliates. The mission of Folds of honor holds a special place in his heart since his father is also a United States Veteran. Dr. Tong is married with 5 children, ranging from 24 to 11 years old, so he is very familiar with the struggles and rewards parents go through in raising children and providing them an education. You’ve fed the baby but he’s still fussy. You may not hesitate to pop a pacifier in his mouth to comfort and calm him – unless you’ve heard some buzz about the risks of baby binkies. Desperate times call for good information. 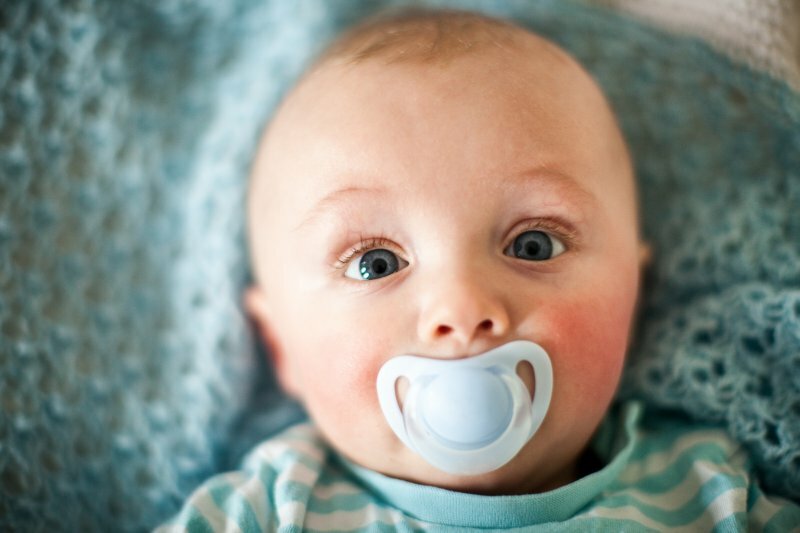 Your dentist for infants in Bergenfield wants to help you avoid desperate measures by knowing the pros and cons of pacifiers. 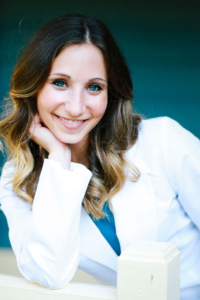 What’s New: Jennifer Sunkin, DMD, a dentist whose focus is children with special needs and high anxiety, is joining the Smile More staff to lead ‘Toddler Thursday’s’. Dr. Sunkin will be Dr. LaCap, Dr. Tong and their group of awesome doctors with over 27 years of experience. The educational program is designed to teach both parents and children about proper dental hygiene. The information is all double-checked by licensed pediatric dental professionals to ensure that everything children learn is age-appropriate and medically accurate. 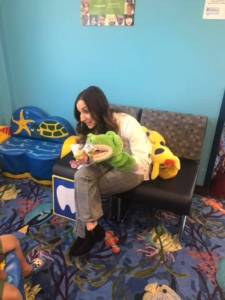 “Parents can come in, have a coffee and doughnut, and kids sit and watch a puppet show and learn how to brush their teeth,” says Mariliza LaCap, DDS, owner of Smile More Kidz. “Kids that go through our office don’t even know what it’s like to be afraid of the dentist,” says Dr. LaCap. Pediatric Dentist in Bergenfield Tells You How To Prevent Childhood Injuries! Did you know that 50% of all dental injuries to kids under age 7 occur at home from falling off or bumping into furniture? While that’s a sobering statistic, the good news is that you have control over your home environment and can make changes to prevent these injuries. In fact, it’s probably simpler than you imagine – not to mention that prevention is far easier than bringing your child to a pediatric dentist in Bergenfield for major dental work! Keep reading to learn about some steps you can take to keep your home safe and reduce the chance of both dental and general injuries to your child. Comments Off on Pediatric Dentist in Bergenfield Tells You How To Prevent Childhood Injuries! Pediatric Dentist in Bergenfield: When Do Baby Teeth Start Falling Out? Children hit a lot of milestones, starting with the simplest things like grasping a bottle or starting to walk. Especially for new parents, this can be a time of concern about whether they’re developing normally and hitting those milestones at the same time as other children their age. 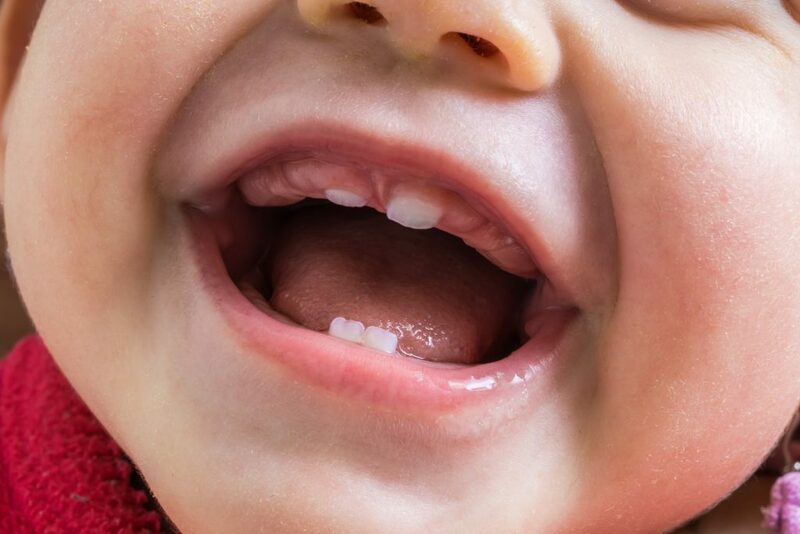 As for losing baby teeth, you may have heard from other parents that losing the first tooth earlier than age 5 is a bad sign, or that their children didn’t lose their first tooth until age 7. But what would a pediatric dentist in Bergenfield have to say on the matter? Keep reading to find out! Comments Off on Pediatric Dentist in Bergenfield: When Do Baby Teeth Start Falling Out? There are few things worse than finding out your child has cavities, even after you helped them develop a good brushing technique. Perhaps you found out they weren’t brushing as much as they should be because they didn’t like the toothpaste you purchased for them. Regardless of how they developed the cavities, your only concern now is preventing any more from appearing. 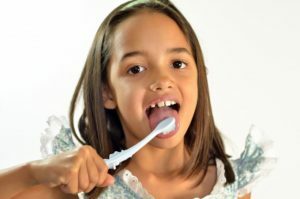 According to your pediatric dentist in Bergenfield, finding the best toothpaste only requires two important steps. Keep reading to find out what they are.